An LA gangs revenge-fuelled killing spree leads them to a half-abandoned police station in the throes of closing down. Under siege with power and phone lines cut, a lone cop and his skeleton staff recruit a condemned killer from the cells in a desperate battle to survive the night. 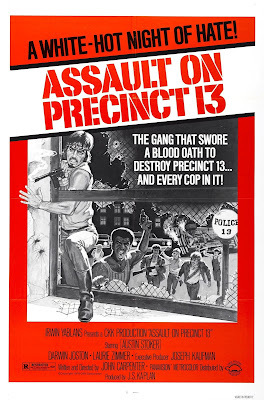 As the gang close in the tension escalates to boiling point in John Carpenters brutal and unrelenting cult classic.